You never know what you'll find at a yard sale. It's a different experience every single time you go -- and sometimes you won't find anything you want. 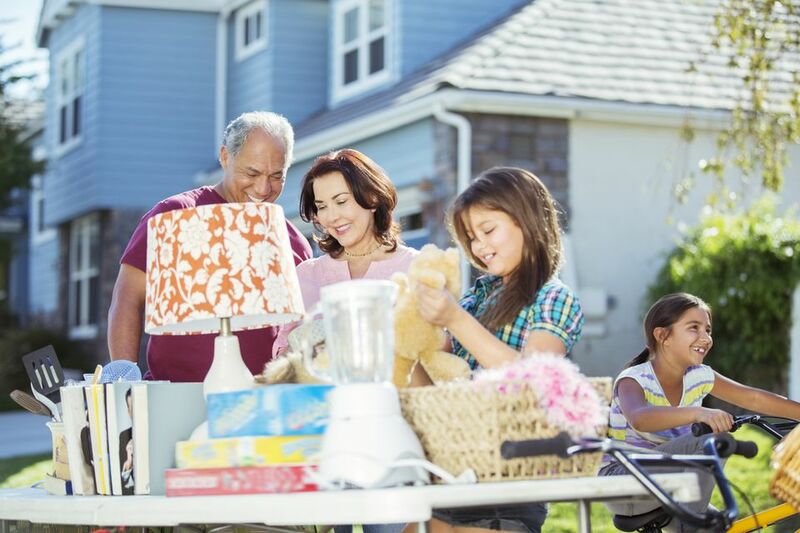 Improve your chances of going home with something great (at a great price) by following the top yard sale shopping tips. Take plenty of cash in small bills -- and take more than you think you'll need. Most sellers won't take checks. If you find an unexpected treasure, someone else will snag it while you're hunting for a cash machine. Plan your yard sale route in advance to make sure you hit the best of the advertised sales. It's a treasure hunt. Think of your route as the map where X marks the spot -- or spots, in this case. Watch for yard sale signs and follow any that point to nearby sales that aren't on your route. Unadvertised sales don't get as much traffic, which means you might score something great. You can get back on your original route afterward. Drive your roomiest vehicle. If you're hoping to find furniture, consider even pulling a small trailer. Don't be afraid to haggle when you'd like a lower price. If the seller won't budge, swing back by later in the afternoon -- when the seller is pooped and just wants the sale to end. Don't overlook pieces that just need a little cosmetic work, but do beware of costly repairs that exceed an item's worth. Don't head out without packing a yard sale toolkit. It's just a collection of tools and supplies to help you make smart buys and get your goods home safely. Imagine how you could use items instead of getting stuck on their original purposes. For example, a piece of iron fencing makes a good alternative headboard or pot rack. You can also reupholster chair seats with the good parts of a damaged rug -- or use an old chenille bedspread as a tablecloth. Don't buy something if you can't figure out how to use it. You want to find treasure, not more clutter that just gets in your way.